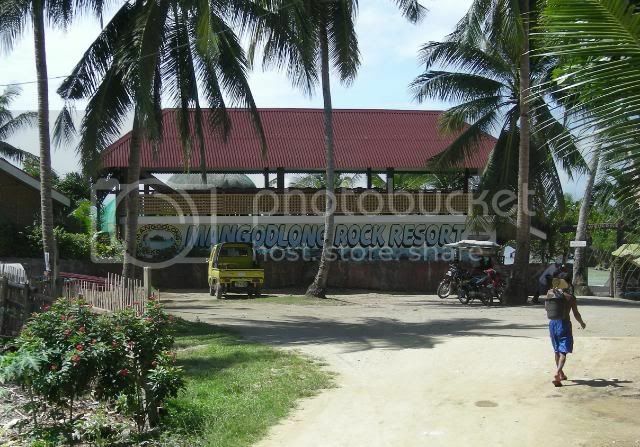 I just returned from a trip to Camotes Island, specifically to Mangodlong Rock Resort, near San Francisco, Camotes. Although this was my first trip, and just a quick 3 day look around, I did find it very relaxing. No matter where you get off, either Poro Port or whereever, get ready to be crowded out by a herd of hable-hable riders. Cost from Poro Port to the resort shouldnt be over 250p per bike, although we got a ride from another port, both of us on a hable-hable for 300p. I think the next time I visit, will just bring a motorbike from Ormoc and load it on the ferry...much better to have transportation. Back to the resort. Rooms were clean, no hot water, 1750p per night. This is a VERY QUIET place as long as the people that live outside the resort dont crank up their karioke machine at 6am like they did one day I was there. All in all, I would visit again. The food they served was good, and very fast service. If you visit, they will tell you each menu item is good for 2 persons. Dont believe it. Everything was delicious, and reasonably priced for a resort. 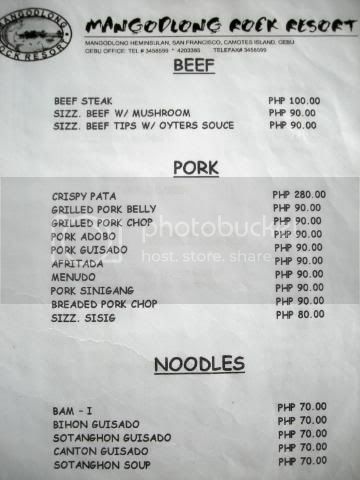 Here is a picture of the menu. 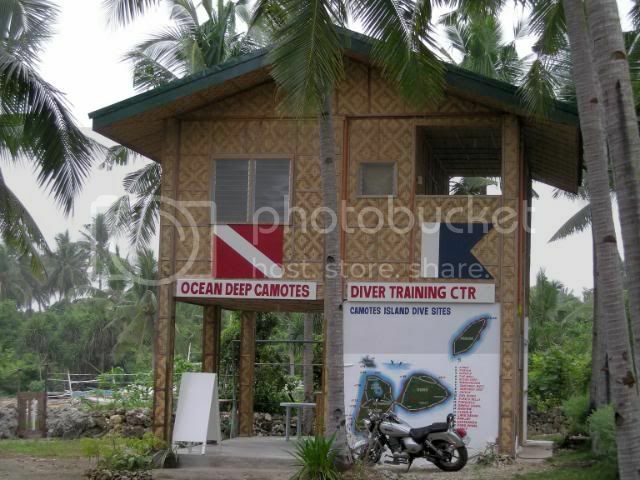 From what I have been told, there is only one dive shop on Camotes, Ocean Deep. Its manned by either Mark or the owner, Tim Aukshun from San Fernando, LaUnion. 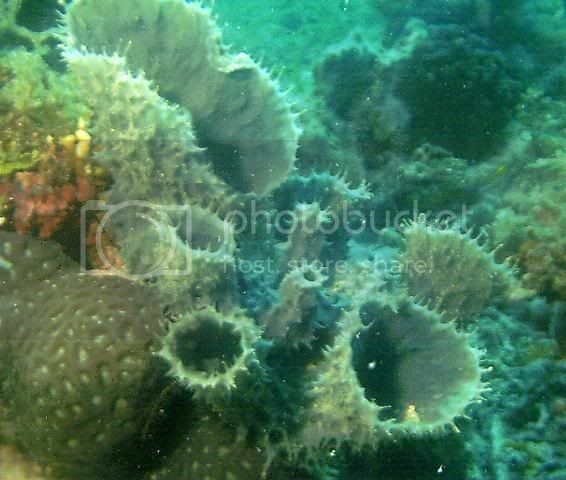 I did a dive on the house reef, and even after a downpour, still had so much to see, and visibility was at about 75-100 feet. Cost of a dive was about 1250p, and they also rent snorkels, masks and fins for 250p. A little high for me, but luckily I brought my own gear. The pictures worked great! This is perfect for what we want here. Thanks for sharing all of the pics in your posts. This is one reason I prefer the format of this forum. Pictures say a lot more than mere words. 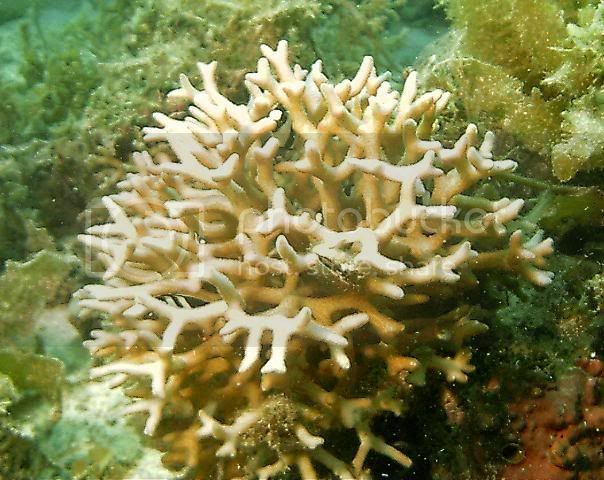 As you can see, the coral there looks good, and I have been told that the other dive sites on the island are much better with more U/W life to photograph. Guess a return trip is in order. Great pics, bro! Yes, please, take your good dive camera the next time. I love seeing pics of the UW life around the RP. 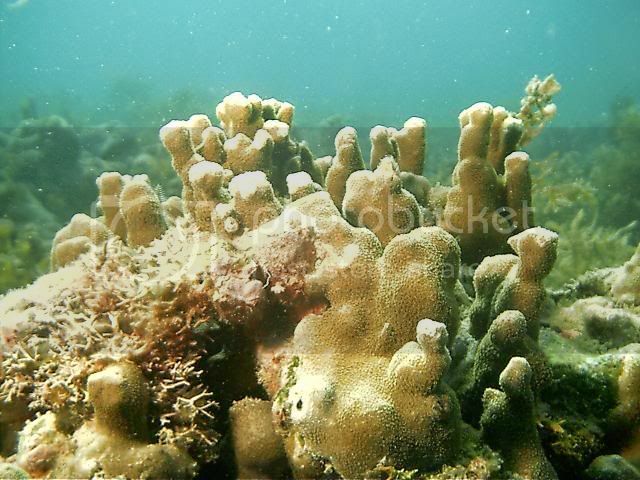 Kinda goes against all those negative people who say there are no coral reefs left. huh? Please keep showing us the positive side of diving in the RP. Another spot worth checking out. 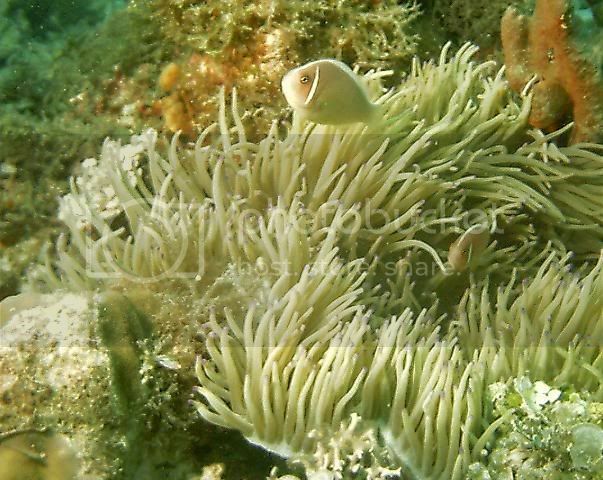 I have always wanted to visit the Camotes but never made it. Is there a regular ferry from Ormoc? Would it be possible to take a multicab over or are there no roads etc. Did you take all your dive gear etc. 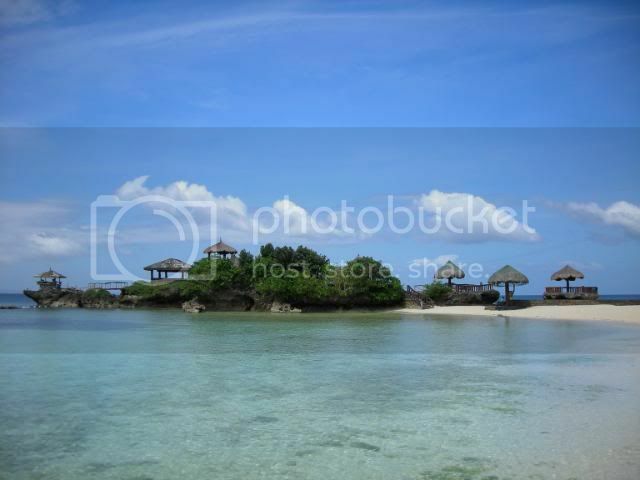 We will be moving to Cebu in October and will be going over to Kananga where my asawa is from regularly. HOpe to catch you sometime. Yes, there is a daily ferry that leaves from the dock behind the food market, next to the Supercat terminal. 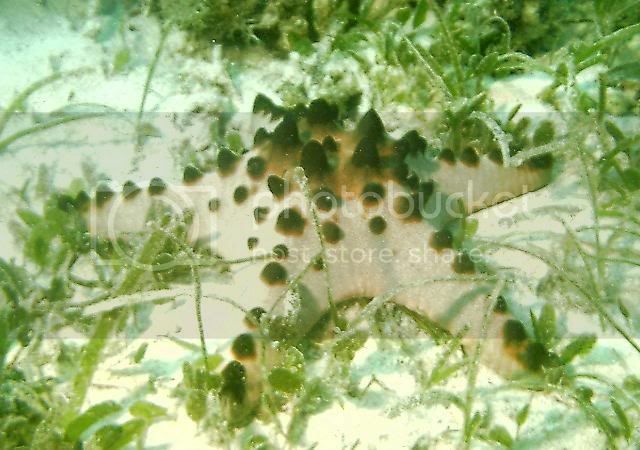 I think it leaves at 9 or 10am each morning, and makes 3 or 4 stops on the Camotes islands. When you get there, you will see that jeepneys or multicabs are VERY rare, unless you get a hold of the resort and have one sent, but expect to pay. The hable hable is the transportation most people use, and cost about 250-350p for a ride to the resort. As I said below, next time I go, we will buy an XRM and put it on the ferry so we can travel and not worry about the hable hable harrassment...lol. Dont worry about dive gear. Ocean Deep has all the gear you will need (all of it pretty new also) and also rents snorkle gear. The one thing about the diving is that they didn\'t have a boat when I was there, so the boat dives were a little more expensive. Hopefully that has changed.